When it comes to content production and marketing, one of the biggest traps businesses fall into is trying to communicate through too many channels without a clear goal in mind. Thanks to the digital landscape on which we live, there are so many ways to create a message and even more ways to engage with people. It’s a tremendous opportunity, and one that should not be taken for granted. However, therein lies the issue – many businesses fall under the FOMO spell (Fear Of Missing Out) and try to communicate through too many channels at once in in fear of failing to get their message across. The end result is a waste of time and resources, and a number of KPIs that may never be met. When I was a younger PR practitioner, there were times when my competence was judged on how many channels I could come up with to engage with our audience. For a while I was sure that the key to business success was to launch a message through every form of content known to man. The result was an audience who felt they were being spammed. I soon realised that there was a difference between being strategic and being lazy. In order to ensure your message, and your business, succeeds, you must first ask ‘Why’ – why is this an effective medium for my message? Why will people respond to this form of communication? I believe in using more than one channel for content production and marketing, but being strategic is vital. 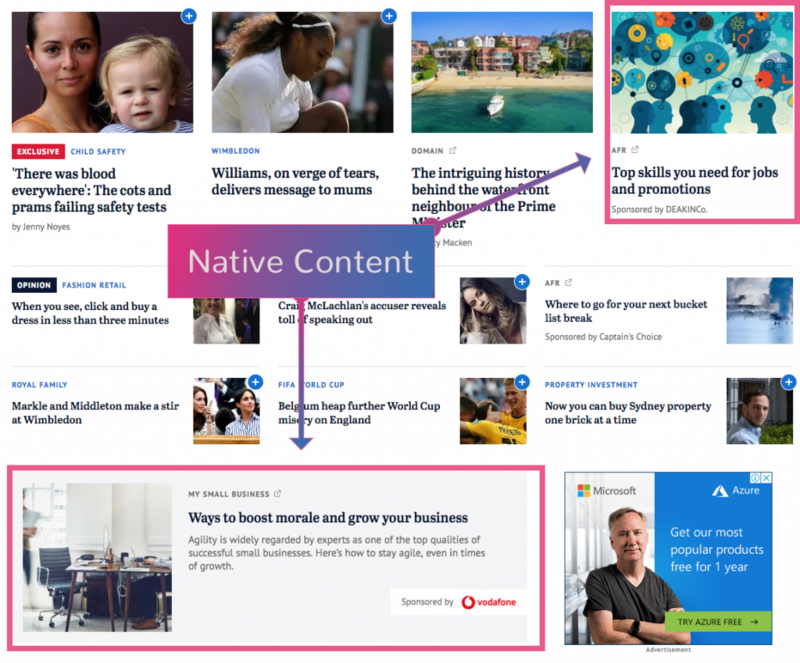 So, how do you choose the right delivery for your content? While it’s not fun to fail, experimenting with certain content marketing mediums is useful to find out how your audience engages with your brand. Pay attention to the data and take note of open rates, clicks, views and responses to ‘call-to-action’ prompts. It’s also good to focus more on who you want to specifically engage with, rather than focusing first on how you wish to reach them. An internal newsletter, for example, via Mail Chimp or Vision 6 may be more effective for a mailing list of company members and sponsors. Deciding on what to actually say should also be a priority over the medium. Would your message be more effective amongst the headlines of a reputable news source, or would it be better conveyed through a video shared through social media? While there are certainly challenges involved, today’s landscape allows for great potential for the forward-thinking content producer with the ambition to properly utilise what is available.